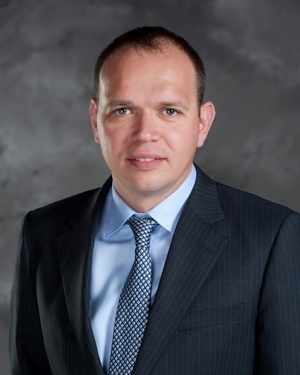 Palms Casino Resort introduces Alexander Schnoeller as the iconic Las Vegas property’s new Vice President of Food and Beverage. Bringing more than 15 years of industry experience to Palms, Schnoeller provides strategic leadership and management to all of the food, beverage and nightlife venues on property. Schnoeller brings a wealth of experience in the Las Vegas market to Palms, having most recently served as Director of Food and Beverage at Mandarin Oriental, Las Vegas. In this position, Schnoeller created and led all food and beverage revenue initiatives for the $20 million dollar operation. In addition to his local expertise, Schnoeller extended his efforts with Mandarin Oriental nationally and internationally, working in destinations including Hawaii, Washington, D.C., London, and the Philippines. In his new role at Palms, Schnoeller oversees a diverse portfolio of dining establishments including those that were previously part of the 9Group joint-venture, like the newly remodeled N9NE Steakhouse and classic Nove Italiano. One of Schnoeller’s first projects at Palms has been the establishment of Back Room Burger, the trendy poolside bar overlooking the lively action of Palms Pool. Meliá Hotels International, Spain’s leading hotel chain, is pleased to announce Andrew Tilley as the General Manager of its newest property, Meliá Nassau Beach. A veteran of the hospitality industry, Tilley has more than 30 years of experience as an international hotelier, working exclusively with Meliá Hotels International since 2010. Most recently within Meliá Hotels International (MHI), Tilley acted as general manager of the Gran Meliá Golf Resort Puerto Rico where he was nominated for the Worldwide Hospitality Awards Best General Manager in the Luxury/Upscale/Palaces category in 2012. Prior, Tilley led the transition team to convert the Marriott Renaissance Hotel in Atlanta to the first Meliá Hotel in the U.S. in 2010. Previous to his time with MHI, Tilley held senior management positions with Hard Rock Hotels, both within their corporate office and at hotel level. Tilley’s specialization in spearheading hotel transitions includes past acting as Task Force lead in the preparation of the 2004 Paramount Hotel take-over from Ian Schrager Hotels to Hard Rock and Investor Ownership. 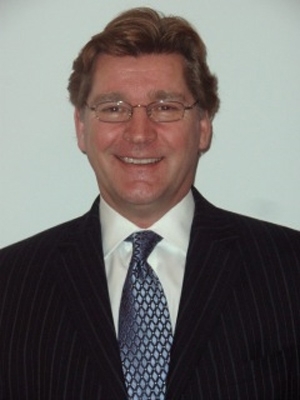 To further complement his vast managerial expertise, Tilley has lived in various countries worldwide including England, Scotland, Zambia, Singapore, Malaysia, Thailand, Hong Kong, Kuwait and the United Arab Emirates. Park Central Hotel New York has appointed top level executives to its sales and marketing departments. This new team was brought together to enhance the growth, success and marketing of the updated Park Central Hotel New York. In building his team, Don Fraser, the general manager of Park Central, has named Ryan O’Byrne as director of sales and marketing, Jasmin Acevedo as director of business travel sales, and Angela Roma as assistant director of sales. Ryan O’Byrne brings a wealth of hospitality sales and marketing experience to his new position at Park Central Hotel where he will direct and oversee all activities, programs and partnerships related to strategic sales and marketing initiatives on behalf of the newly renovated property. Most recently, Mr. O’Byrne served as Director of Sales at the Intercontinental Hotel New York Times Square where he was an integral part of the property’s pre-opening team and also served an instrumental role in bringing the new property to market. Jasmin Acevedo joins Park Central Hotel New York with more than ten years of successful hospitality sales experience. In her new role, Ms. Acevedo will focus on boosting the property’s business travel revenues through a strategic sales program targeting important vertical markets such as financial, entertainment, legal and technology, among others. Her previous position was area sales manager for Morgans Hotel Group, New York City, which included its boutique brands of Morgans, Royalton, Hudson and Mondrian Soho. Angela Roma joins Park Central New York as assistant director of sales. Angela possesses more than 11 years of hotel industry experience. She began her career at the Waldorf Astoria where she grew up both professionally and personally. Angela started at the front desk and worked her way up to sales. She spent most of her years in between convention services handling presidential visits, press junkets and corporate events.